It’s the time of year when plants grow like crazy as soon as they’re put in the ground. And, in Hamilton we’re lucky to have a source of great quality seedlings at the Hamilton Farmers’ Market. 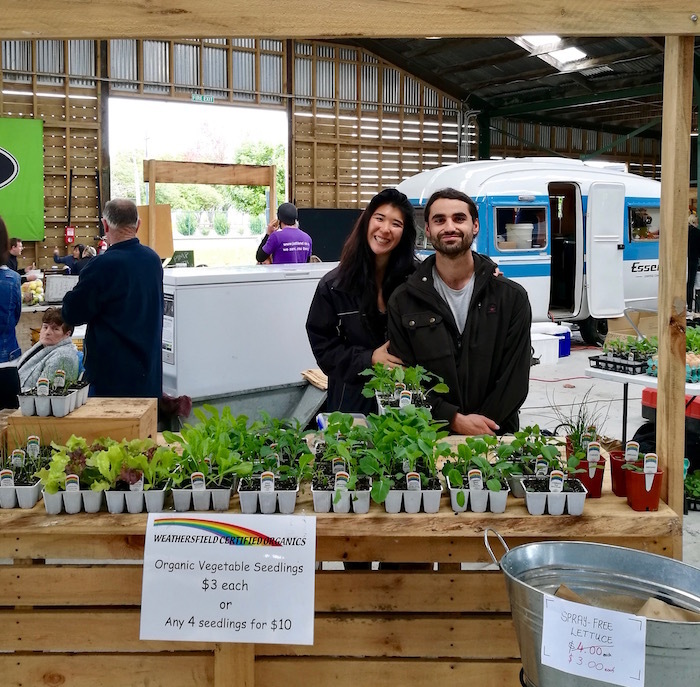 Mark and Nikita from Weathersfield Organics are selling their locally grown vegetable and herb seedlings regularly at the Sunday markets. Over the last six months I’ve planted several batches of their seedlings and they have always grown well. (I don’t take this for granted!) Plus, these seedlings are fully certified organic. Mark and Nikita are the local franchisees for Weathersfield Organics, which is a small, family-owned business that started in West Auckland. Above: Mark and Nikita are regulars at the farmers’ market. 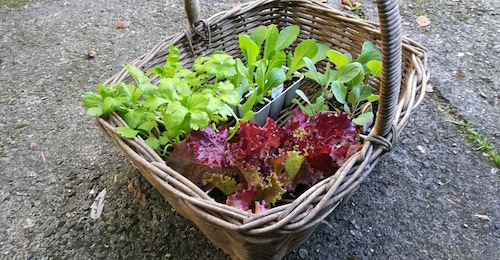 A couple of weeks ago I planted silverbeet, curly endive and corn salad (also known as lamb’s lettuce), and I currently have some lettuce, kale and rocket waiting to go into the ground. 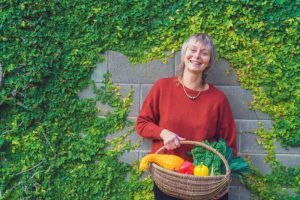 As my friend the gardening teacher, Clare Jackson of Green Footprint, has often said to me: If you don’t plant them, they won’t grow. Mark and Nikita’s seedlings are also available from The Farm Shop at Gordonton, and they sometimes offer their seedlings at meetings of Hamilton Organic Gardeners.